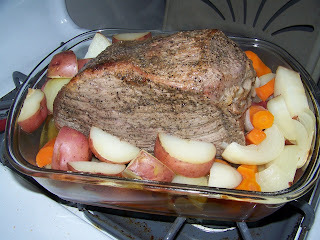 In an effort to eat some "real" meals (aka not sandwiches and soup) we've been trying to cook a heartier meal on the weekends. Recently, we made a beef roast. 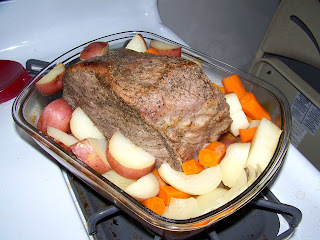 I always forget that these "real" meals can actually be easier in terms of prep time and it makes your house smell so good! 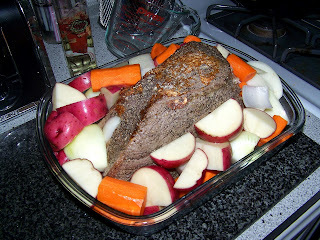 First, Nate salt and peppered and seared the roast on all sides so the juices would stay in the meat. 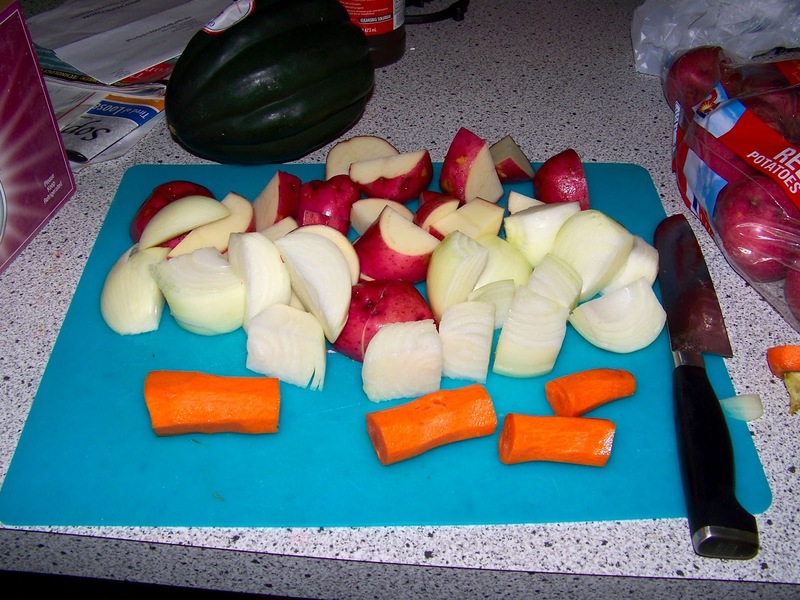 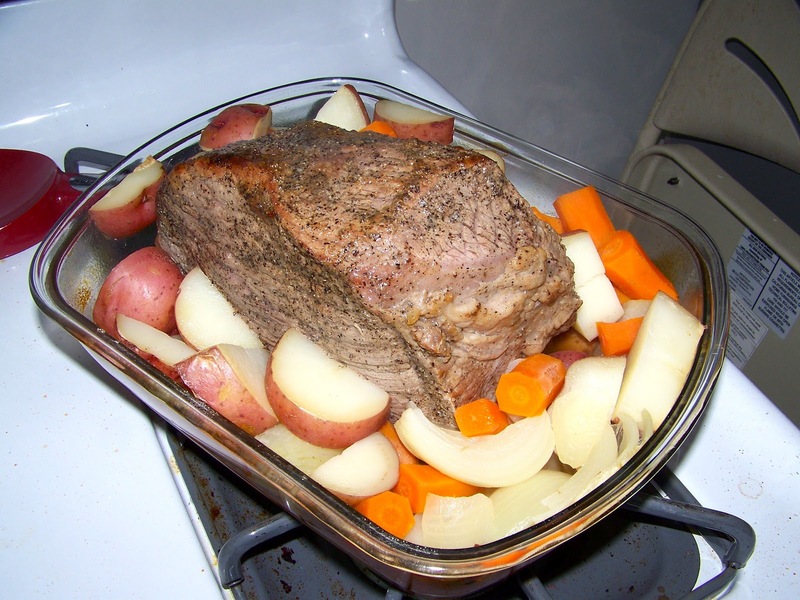 We also preheated the oven to 350˚ F.
While he was doing that, I chopped up a bunch of onions, carrots and potatoes. 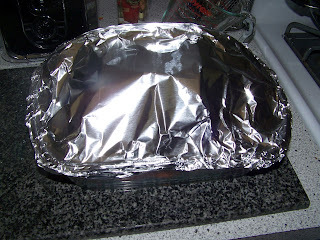 and covered it with an aluminum tent to once again trap the juices inside. 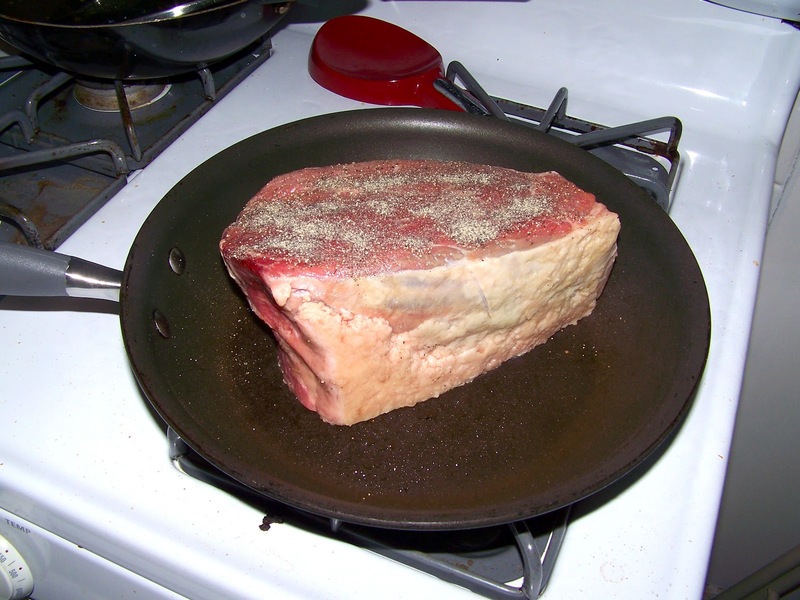 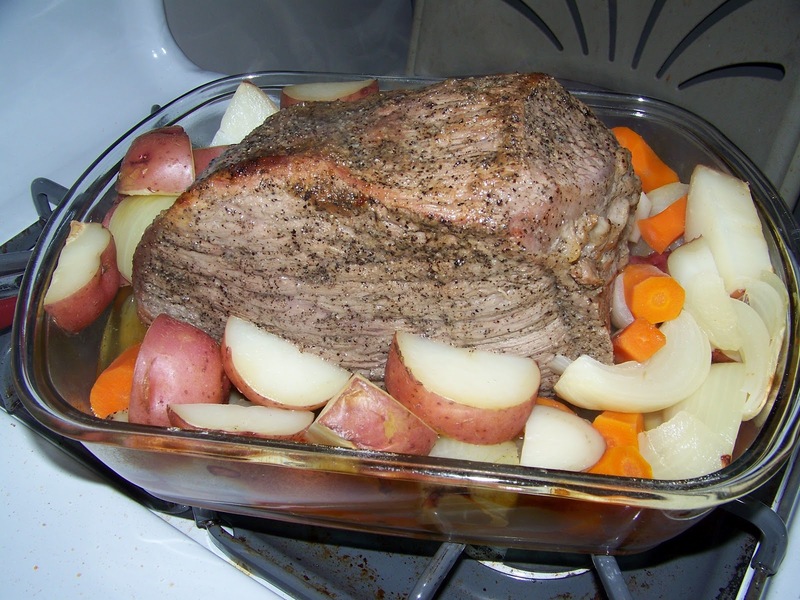 Once the meat is out of the oven, you want to let it sit for a few minutes before you slice it up. Then you can slice to your desired thickness, grab some cooked veggies and Enjoy! 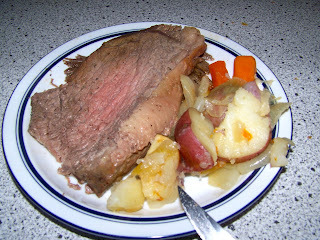 What we love about a meal like this is that the first night you have a very traditional meal, but then you also have meat for a few days after so you can make sandwiches or other meals without having to worry about spending the time to cook.